Whoever is still convinced that “working from work” is the only way to do business nowadays probably isn’t considering the millions of households in Canada that have active home-based offices. Hard-working people of all ages and occupations try their best to accommodate a productive and inspiring working environment into their homes, without letting either one lose its distinct personality. 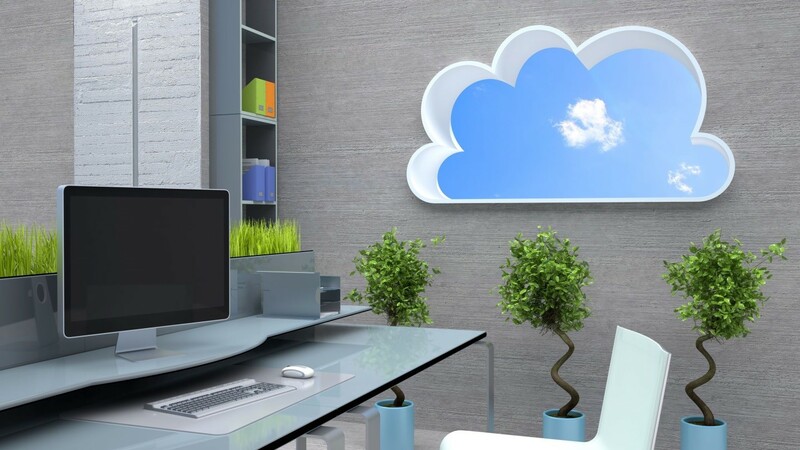 Whether you’ve just started working from your home or you are a veteran virtual worker, these useful tips will help you spruce up your work space to keep you active and productive this entire season. We already know that the human mind reacts to color on a psychological level, so why not use this information to create a space that oozes creativity, confidence, and physical comfort? Often referred to as the color of balance and peace, green is probably the most versatile color in the spectrum – and one that homeowners love all year-round. Plentiful in nature, green needs no invitation as it rejuvenates and restores any space, giving off the feeling of being always connected to the outside environment. 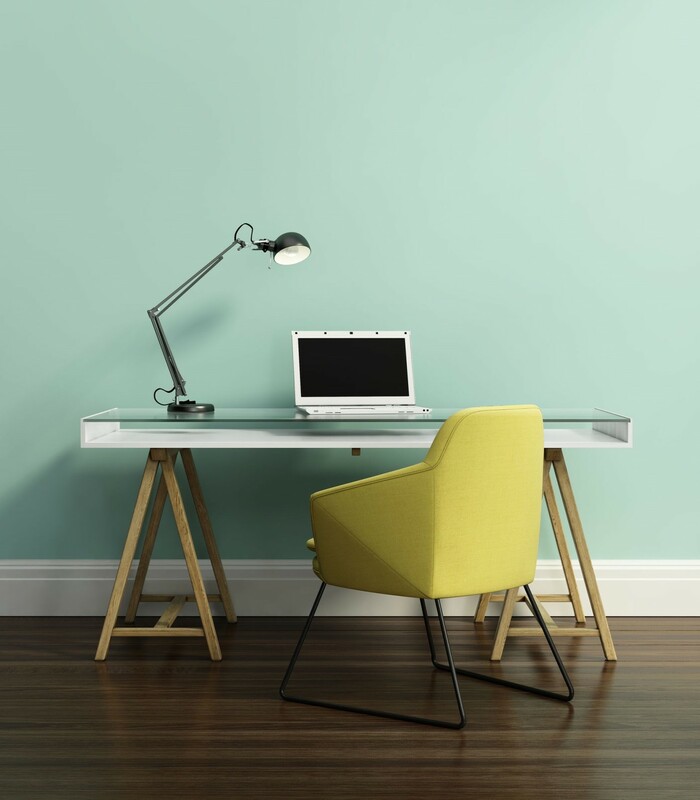 Blue is a great color choice if you are in the creative business and need to focus for long periods, while an orange or cherry red pop of color will add warmth and excitement to your office space. When your office is also your home, you have more to think about when buying office furniture than just price and utility. When you bring home a piece of furniture and set it down in a room, most of the times it doesn’t just sit there. Regardless of the material it’s made of, if it’s treated with synthetic substances, chances are your office furniture will off-gas formaldehyde, toxic chemicals, or carcinogens into the air you’re sharing with your family and pets. To make sure your furnishings are both functional and environmentally-friendly, choose furniture companies that are leading the way in sustainable furnishings and are able to provide products made from all-natural materials and non-toxic stains and finishes. Natural materials are definitely here to stay, and this fall home workers can celebrate them in full force. Pairing wood and steel with glass and organic fabrics is a very stylish way of incorporating natural elements into a home office, adding an earthy mood to the space. Furniture made from or covered in natural materials is also a perfect choice for achieving a cozy and welcoming office space, while keeping it stylish and modern-looking. Wood is sturdy, classic, and nearly effortless to maintain; oak, cedar, pine, and cherry are some of the popular choices when looking to offer a space charm and sophistication. Metal evokes a sense of formality and brings a refreshingly modern look to the work space, while the softness and versatility of leather, cotton, and other natural fabrics increase the appeal of your space – of particular importance for home-based offices that are regularly visited by clients. Aside from many other perks, one of the best things of working out of your home is the ability to design your space the way you like it. Whether it’s just a corner of your living room or a whole room at your disposal, a home office can be turned into a creative space where ideas come to life. For this season, you can consider an orange or dark red accent wall to keep you focused yet inspired, while creating a bold and playful space in contrast to rooms with a simple color scheme. 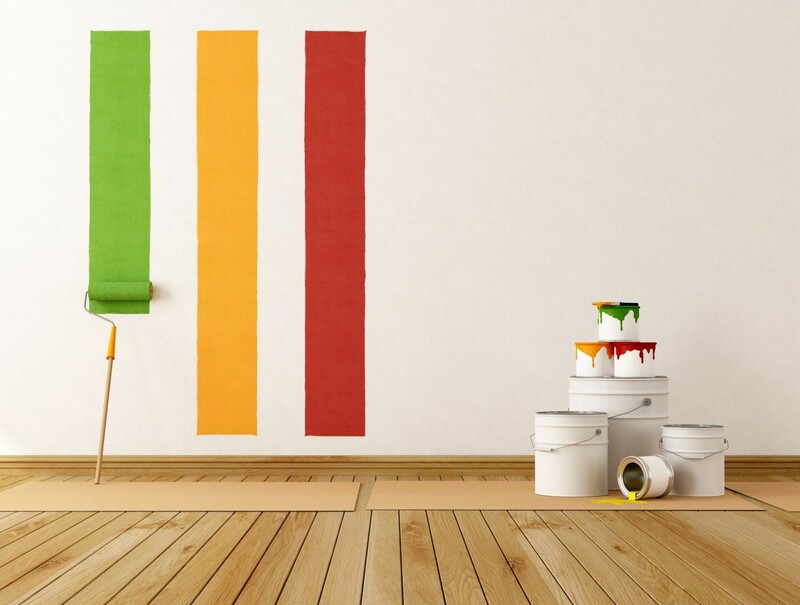 Daring colors can also make the room spark and help to differentiate the work space from the rest of the room. Mounting wall shelves to hold elements of inspiration, visually stimulating artwork, and personal items will not only perk up the space and add pattern to the wall, but also maximize the desk’s surface. Beneath them, a table with a streamlined design and a molded plastic chair will add a modern and youthful touch and create an upbeat mood. 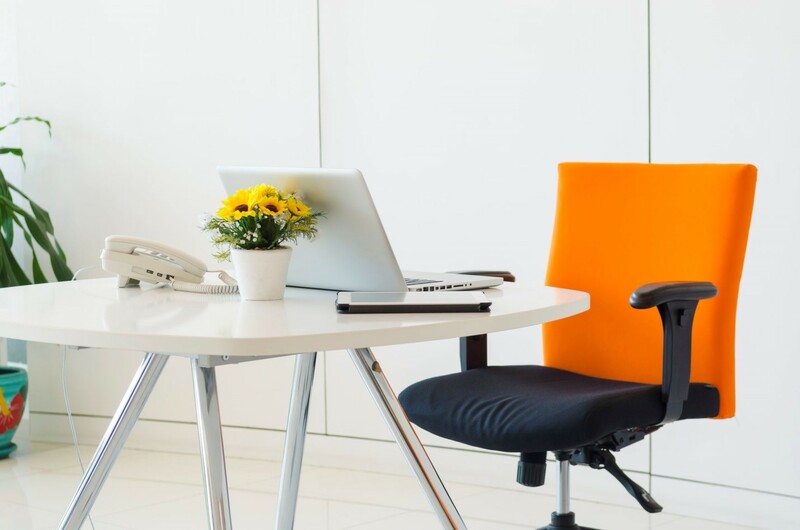 However, if you plan to work long hours every day, look for a customizable chair and an ergonomic desk to give you maximum comfort and convenience. Need Help Turning Your Vision into Reality? 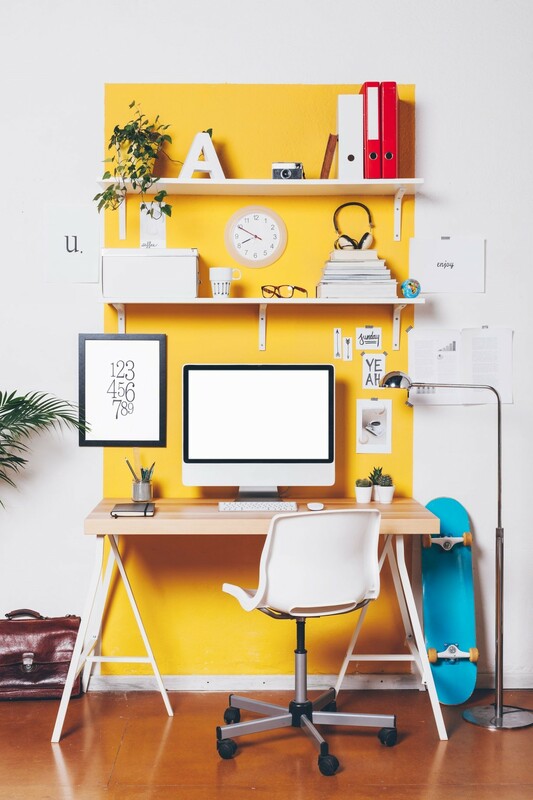 Many times, setting up an organized and efficient home-based office requires a lot of planning, experimentation, and revision before being able to pull together a workspace that matches your business needs. To make sure this otherwise enjoyable process doesn’t turn into a costly trial-and-error process, schedule a consultation with your local home office planner to discuss the ways in which you can turn your home office into a truly empowering space.